A lengthy testing period for this high-speed VR platformer starts soon and you could get access to the closed beta from the Shacknews team. After opening up for some closed beta applications last month, Survios has been hard at work on their virtual reality platformer Sprint Vector and, this weekend, players will finally be able to get their hands on the game. The Sprint Vector closed beta will be running from January 19 through January 28. Tutorial levels will be available the entire time, but multiplayer servers can only be accessed on weekends. Beta signups are still available on the Sprint Vector website, but you will have an opportunity to get direct access from the team here at Shacknews later this week when we host a closed beta code giveaway. 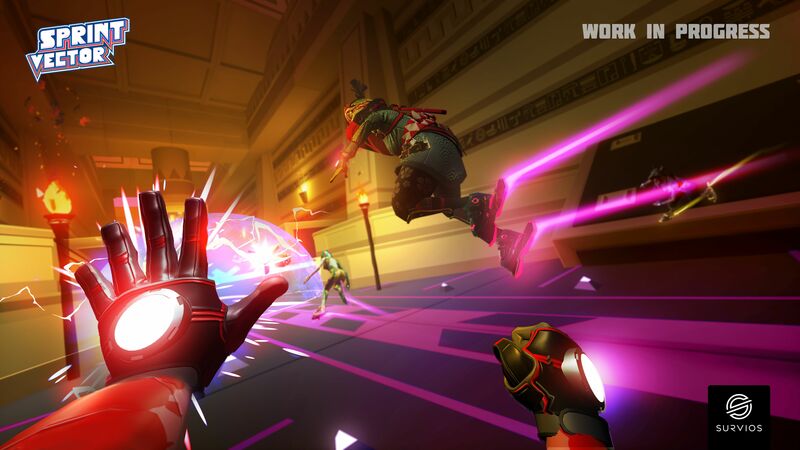 Taken from the press release: "Sprint Vector is built on Survios’s proprietary Fluid Locomotion™ system, which allows for intuitive player locomotion and comfortable gameplay even with intense speeds and movements in VR. This allows players to enjoy the world that’s been created for them--a future where the galaxy's most popular game show, Sprint Vector, is created and directed by the media-consumption mastermind Mr. Entertainment, and with players taking control of the show’s athlete personalities. 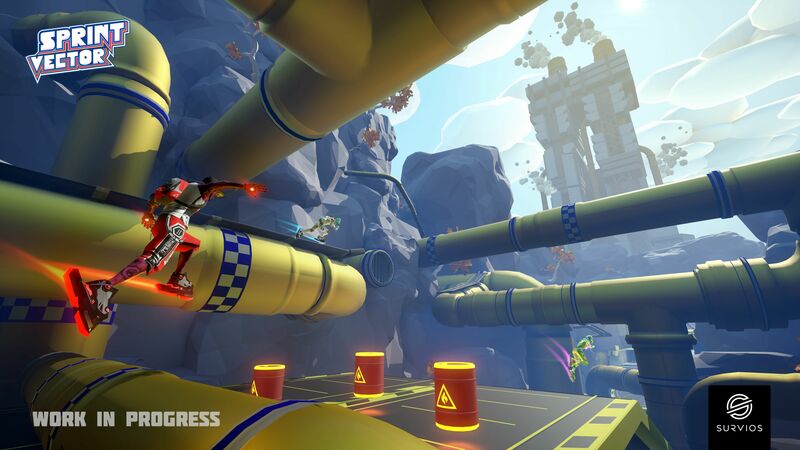 Players are able to gain speed in Sprint Vector by moving their VR controllers up and down to mimic a runner’s movement, thereby allowing their character to run, jump, climb, fling, and fly at extreme speeds in this frenetic VR adrenaline platformer." 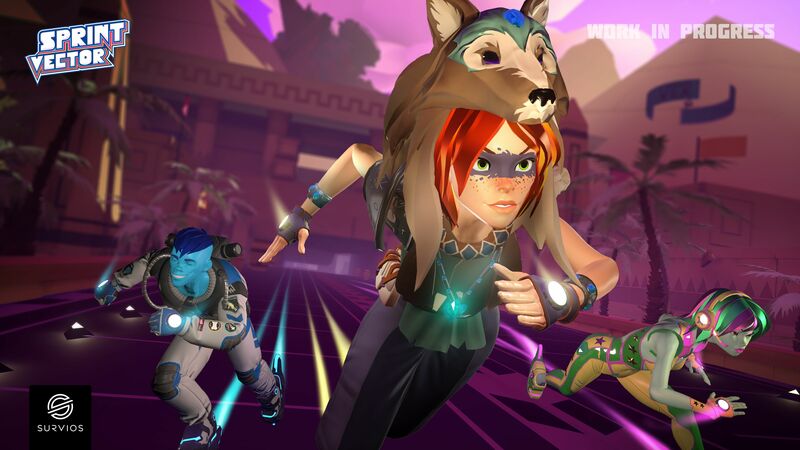 Sprint Vector is expected to launch Q1 2018 for HTC Vive and Oculus Rift. If you're interested, you can wishlist the game on Steam.